On 10-14-15 at approximately 7:44 pm, Hendersonville Police were called to investigate a shooting at Veterans Park. Police learned a juvenile male had been shot in the arm with a pellet while in the skateboarding area. The juvenile was treated and released from Hendersonville Medical Center. 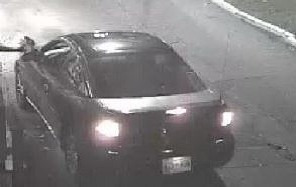 We need your help to locate a vehicle and it’s driver. Police are looking for a white SUV, possibly a Toytota Forerunner with gold or tan trim over the wheel wells. 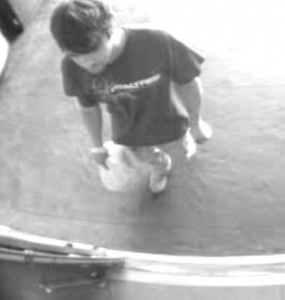 The driver is believed to be a white male with reddish hair. 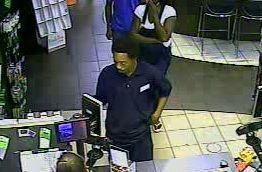 Please let us know if you have information to solve this case. Detective Jim Bachman, case number 15006840. A Hendersonville victim had their credit card stolen and the above pictured male was caught on camera making fraudulent charges to the victim’s credit card. 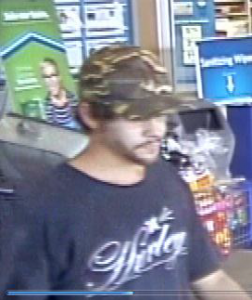 This suspect was traveling in the above pictured dark colored vehicle. 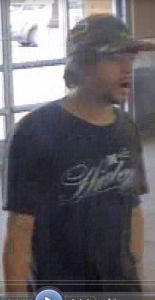 HPD needs your help identifying this person. On 09-23-2015 the above pictured female shoplifted from Hendersonville Wal-Mart and then left the area in the above pictured tan Toyota Camry with TN Tag: N8289C displayed on the vehicle at the time. 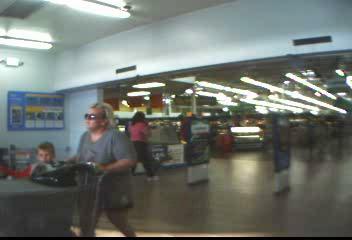 HPD needs your help identifying this shoplifter. 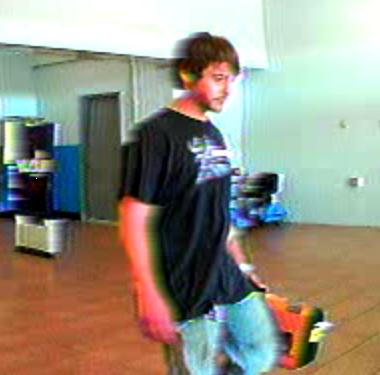 On 09-23-2015 the above pictured male shoplifted from Hendersonville Wal-Mart and then left the area in a vehicle consistent with a blue Chevy Impala. Then, on 09-25-2015 the below pictured male shoplifted from Hendersonville Sam’s Club. These two suspects are beleived to be the same person. 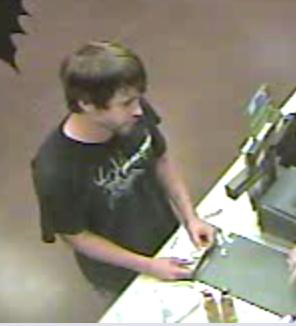 Hendersonville Police need your help identifying this shoplifter.